Family vacations mean so much more than staying in a hotel room. Ditch the usual and experience something truly amazing at Primavera, a gorgeous 4-bedroom property in Lonavala with a beautiful garden, an outdoor pool, swings and more. The location of Primavera is apt for a long vacation for big families. It's not very far from Pune (60 kilometres) and is situated in an area void of all that city chaos. One of the best things about this place is the views that it has to offer. 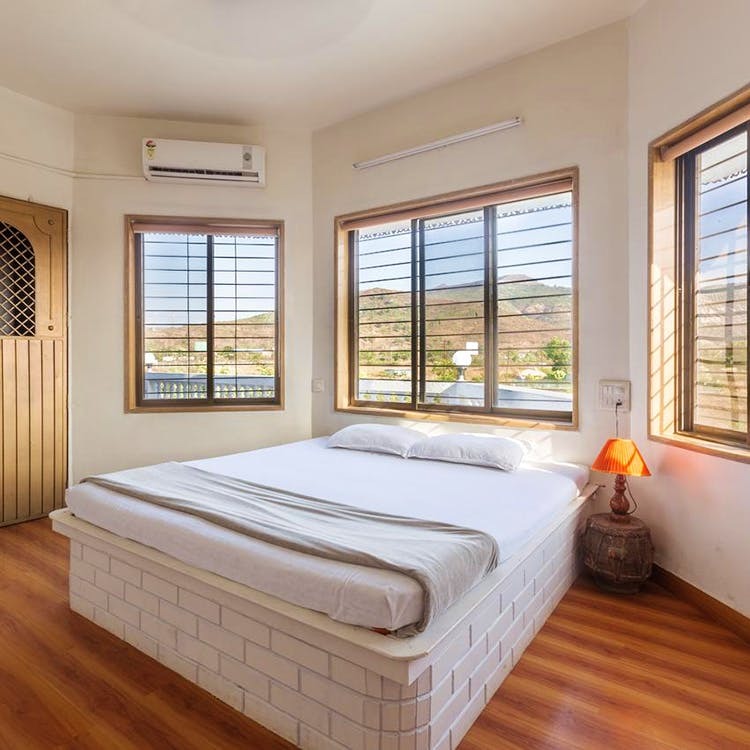 Imagine waking up to a majestic scenery of the Sahyadris coupled with a clear blue sky and dense green forest at a distance. Primavera can accommodate about 11-20 guests at a time. It has every possible amenity to make your vacation comfortable and perfect. From a well-manicured lawn with a gazebo to quaint shacks, volleyball court, barbecue setup, a kitchenette, furnished living room and a gorgeous terrace garden, this villa must be on your bucket list. The prices are a tad steep, starting at INR 11,500 per night for 11 guests. However, having said that, Primavera is one of the bestsellers in Lonavala and the hospitality is top-notch. Maybe, the price isn't that bad at all. What do you think? We hear there is a slight leakage inside the villa whenever it rains, something the management needs to get it checked. The villa is pretty close to Karla-Bhaja caves and Lohagad and Visapur forts. Make sure you do all the touristy stuff during your stay at Primavera.